New to the game? Test yourself on some of the basics by trying out the Beginners Quiz here. 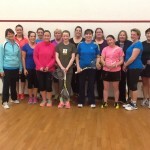 A huge THANK YOU to the ladies of Thurles Squash Club, who hosted the Spring 2016 Munster Ladies’ League prize giving on March 2nd and provided a fabulous spread of refreshments to keep us all going for the evening! Division 4: Highfield A 14 – 9 U.C.C.